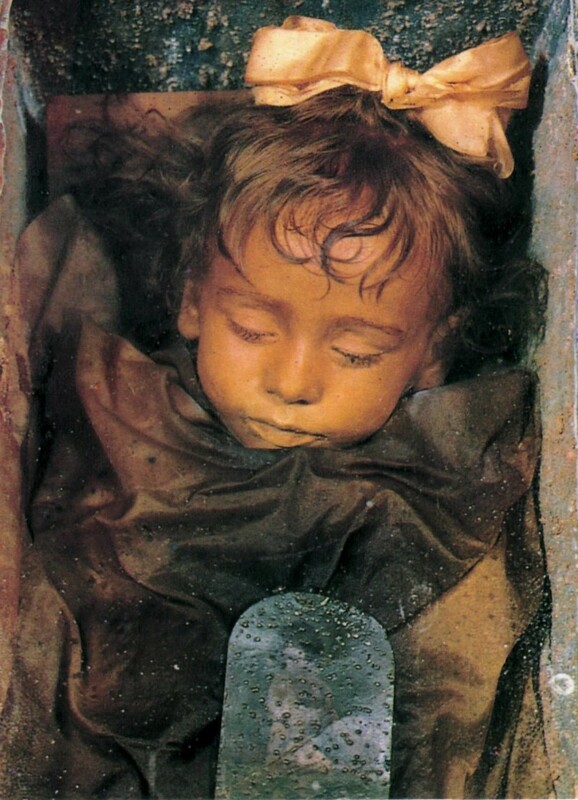 Rosalia Lombardo, Italy | 13 Most Creepiest Mummies of the World! 2-year-old girl, Rosalia Lombardo, died from pneumonitis in Palermo, Sicily in 1920. Her deeply grieved father wanted a way to memorialize her for eternity and asked well-known physician Alfredo Salafia to save her daughter's body.